Our 24 hour pet hospital in Spring serves the greater Houston area, including Atascocita, Cleveland, Conroe, Crosby, Cypress, Dayton, Hempstead, Hockley, Humble, Jersey Village, Liberty, Magnolia, Mont Belvieu, Montgomery, New Caney, Pinehurst, Plantersville, The Woodlands, Todd Mission and Waller. 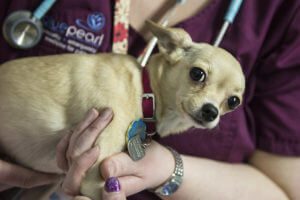 When Hurricane Harvey dropped more than 50 inches of rain on Houston in 2017, our three local BluePearl emergency veterinary hospitals stayed open, ready to treat your sick or injured pets. That same devotion drives our staff any time a patient comes through the door. 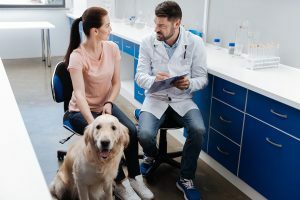 Our BluePearl Spring hospital, the largest of the three, offers 24 hour emergency vet care teamed with board-certified specialists and state-of-the-art equipment. Diagnostic capabilities include ultrasound, CT, MRI and echocardiogram. Formerly known as North Houston Veterinary Specialists, our Spring hospital is easily accessible from State Highway 99 and Interstate 45.